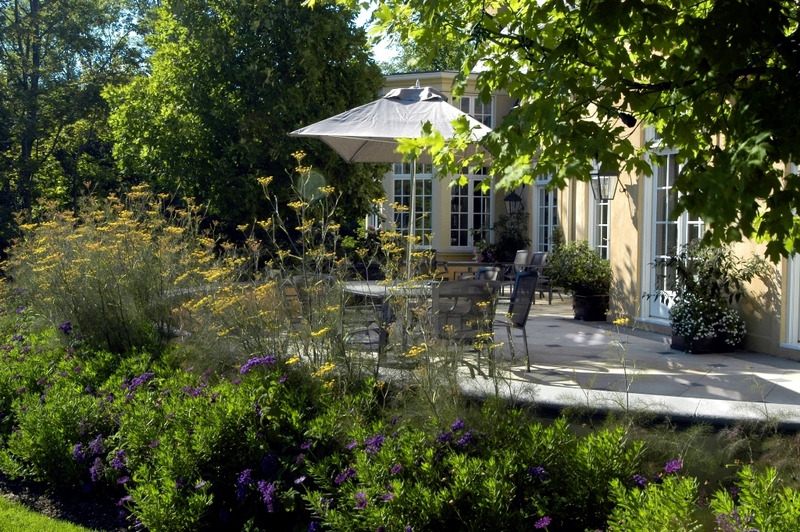 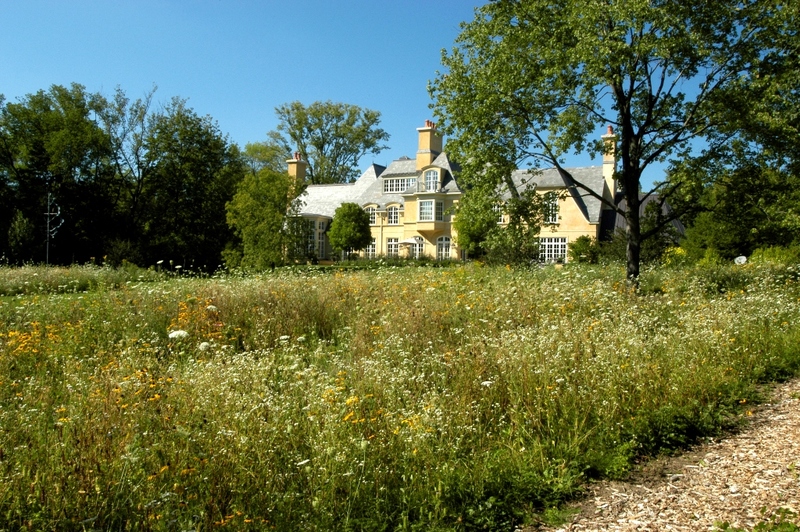 Four acres of overgrown and damaged property were transformed into a rural French country estate in Lake Forest. 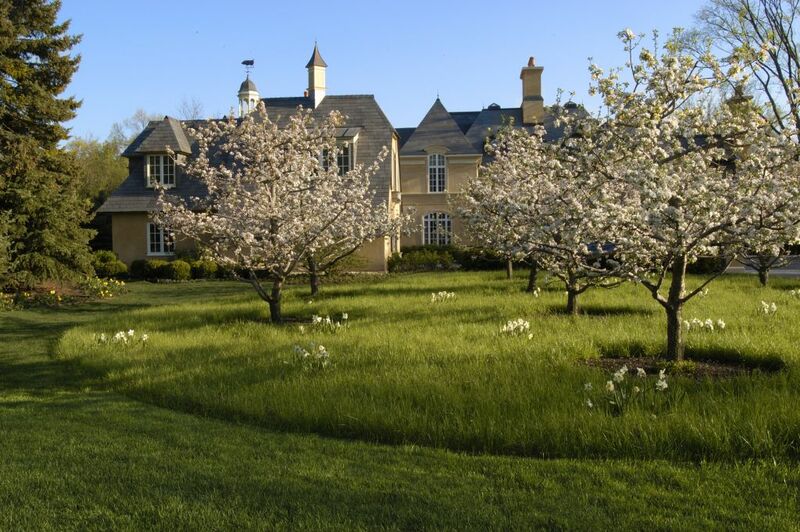 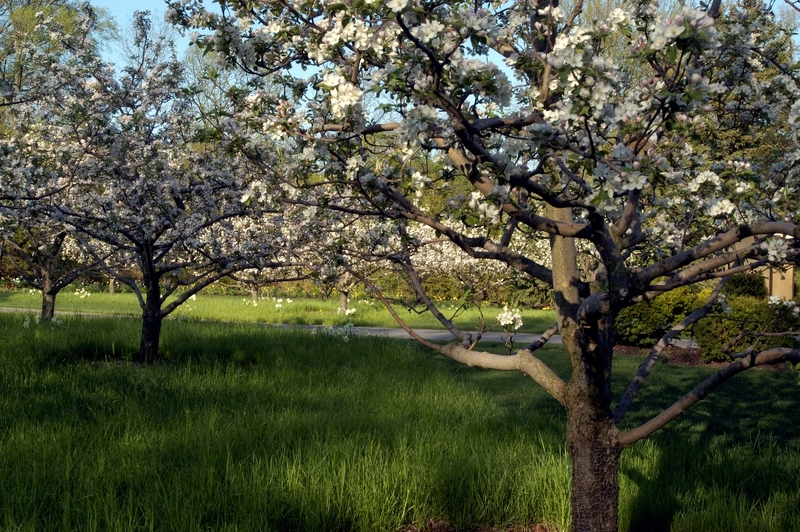 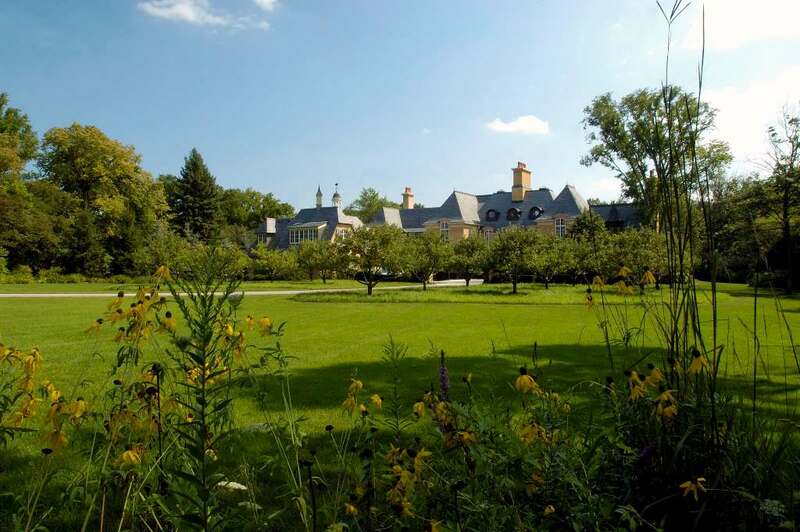 Mariani created a landscape with formal European design elements, an apple orchard, a winding driveway, and naturalistic plantings. 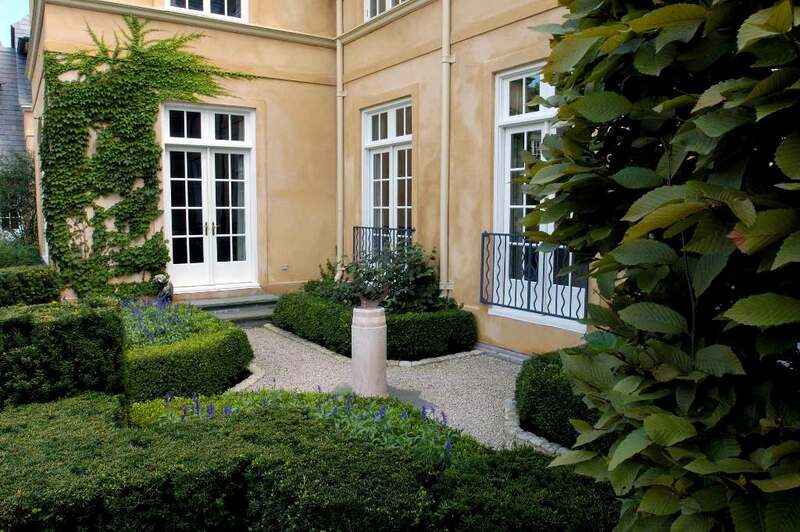 This exquisite residence is a showcase of European design that unifies the home and grounds by incorporating the architecture into the landscape.